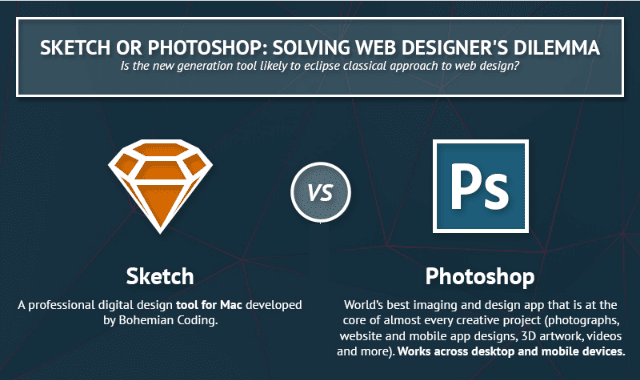 Sketch or Photoshop: Solving Web Designer's Dilemma #Infographic ~ Visualistan '+g+"
Today the option of shifting from habitual, time-tested Photoshop to relatively new app, Sketch, has become a real dilemma for web designers. Web development community has broken into two groups – classical tool adherents and trendy software fans. If you find difficulty in what camp to join, our infographic will help you to dot all i’s and cross all t’s and take a final decision at last. Have a look!